Teaching kids about the resurrection can be difficult. Compared to the truth of the incarnation, it can be a little more abstract. For my own children, the idea of Christ becoming a baby was easier to grasp. So this Easter, I’m excited to use the family devotional, Why Easter?, to impress the weight of Christ’s resurrection on my children’s hearts. Written for parents guiding their children into worship of the Risen King, Why Easter? 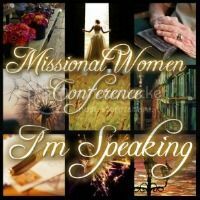 , is a 28-day devotional by Barbara Reaoch. Here’s what I love about Why Easter? The author emphasizes Jesus as the Messianic King. This helps parents tie the resurrection account to God’s cosmic plan to restore His kingdom. The author chooses devotional passages based on the wider biblical themes of life and death that culminate in Jesus’ resurrection. For example, the devotional opens with the story of creation and the fall (told through the story of Lazarus). The author incorporates several elements in each devotional including short readings, Scripture passages, discussion questions, classic hymns, & Scripture memory. Throughout the entire month, Acts 2:22-39 is broken into bite-sized phrases to encourage families to meditate on the truth it contains. 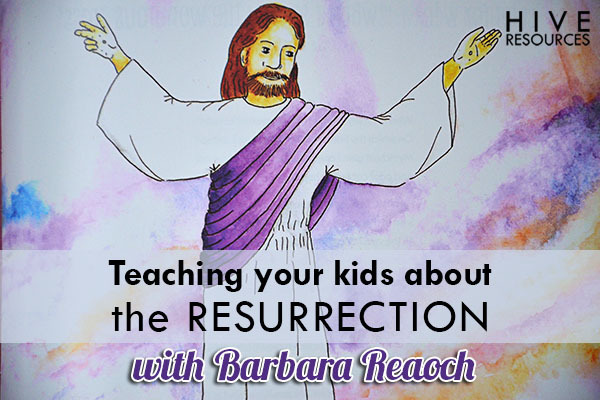 Today I am honored to have Barbara Reaoch answering some questions about how you can illuminate the beauty of the resurrection to your own kids! 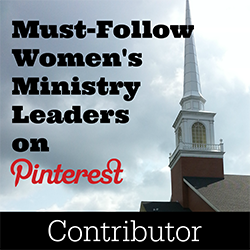 I know you will gobble up her insight & encouragement like I did! 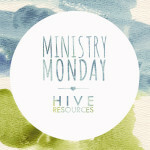 Hive Resources: Tell us a little about your family. What was the most successful method you used to teach your children about Christ? Barbara Reaoch: This year Ron and I celebrated 40 years of marriage. We both recognize that our marriage is a gift of God’s grace to us. When we married our hearts were far from God but 6 years later, when he brought friends into our lives who told us about Christ, we were transformed and so was our family life. We had spent our lives studying other subjects but never the Bible and so it became our priority to learn who God is and what he wants us to know about his plan. Although we ourselves were eager students of God we lacked role models to show us how to teach our children. But the freshness of our faith in Christ spilled over into everyday family life. When God showed us something new (and believe me, it was ALL new) Ron and I talked about it with the kids. If one of the three had a problem we learned to stop and pray about it. Church became a priority and non negotiable. And even though we were inexperienced and immature, there was great joy in applying what God taught us even when it meant radical change. Our children were in different developmental stages but all were happy whenever we read to them. So after dinner (eating together was a deliberate effort in the business of our lives) we read aloud from a variety of books which opened up lots of opportunity to talk about matters of the heart. We strove to find devotional material to use individually with each child, but we didn’t always use the valuable growing up years to instill the truth about God in their tender hearts to the fullest. We were young in the faith ourselves and felt hindered by our lack of Bible knowledge. The church was there to override our weaknesses but the church did not always take up the slack as we had hoped. We did however, live in such a way as to show our utter dependence on God. And even though we were inexperienced and immature, there was great joy in applying what God taught us even when it meant radical change. At the height of Ron’s career with a major corporation we experienced God’s call to leave our normal middle class life and move to South Africa to pilot Bible Study Fellowship classes. It was also our privilege to work with Rafiki to begin a job and life skills training program for young girls. Our oldest son had just married, our middle son was in college and our daughter, Elizabeth who was 16 years old at the time, went to Cape Town with us. Studying the Bible and teaching it to others has been our mission and joy ever since. During the years of living in South Africa two of our grandchildren were born. My prayers for them focused on the desire that they know and love Jesus as Savior. But how could God use me to impress this knowledge on their hearts when I lived 10,000 miles away? I’ll never forget the day when God brought to my mind the thought of writing a devotion to teach them the truth about why Jesus came and why Jesus had to die. That was the start of Why Christmas? and Why Easter? 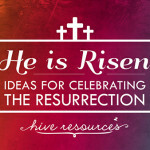 Hive Resources: Is it possible for young children to grasp the concept of the resurrection? If so, how much? Barbara Reaoch: Easter is the most amazing and strategic time for parents to teach the deepest and sweetest truths about God’s plan through Christ to their children. God’s character of holiness, love, grace and mercy; the nature of sin; salvation from the penalty of sin and the power of sin; the infallibility of God’s Word and the sinless life of Jesus; Atonement; Resurrection; and Eternal life will all be important for a child to understand. There are simple ways to explain hard truths to children. We don’t need to keep the truth from children just because we realize they can’t possibly understand it all, we just give them the truth in layers, taking into account their developmental capacity. Young children are concrete thinkers and so they will grasp the facts of the resurrection. They will understand that God is holy and loving, as well as that they have sin in their hearts and there is a punishment for sin. They can understand that Jesus came to take the punishment in our place. They can absorb the truth that the punishment was death, but Jesus didn’t stay dead. After 3 days he was alive again. God has the power to give Jesus life again and that means that God has the power to keep all of His promises. All men, women, boys and girls who trust what God says will be forgiven of their sin and not have to take the punishment. And they will get to have life with God forever. Older children start to comprehend thoughts that are more abstract. As the facts about God and man are layered in their minds they begin to connect the dots and see a bigger picture. They start to get it that punishment is what we deserve because God is holy and we have all sinned. They start to absorb the truth that they don’t deserve the mercy God has shown them through Christ who died to take the punishment for their sin. It begins to sink in that God’s grace is truly amazing. These layers of truth percolate in their heart until there is a genuine conviction of their sin. They understand their need to respond to God through repentance and faith. Hive Resources: What is the optimum age of the children who will benefit from your devotional? Is it possible to use with preschoolers? Barbara Reaoch: The devotional is designed to be relevant for the age span of ages 4-10. It works well when our son and his wife who use the material with their 3 children ages, 4, 7 and 9. All three are engaged at different levels. And our daughter and her husband use the devotion with their 18 month old son who has an attention span for only a paragraph or two – but loves to hear everyone sing the hymns. Hive Resources: What are the key elements you believe parents should emphasize about Christ’s resurrection? Sin is awful because it separates us from God. In God’s love and mercy He made a plan to forgive our sin. God sent Jesus to take our punishment for sin by dying on the Cross. Jesus was only dead for 3 days and then he came to life again. Jesus is stronger than death. Everyone who trusts in Jesus will not be separated from God any more but live with Him forever. Hive Resources: What has been the biggest blessing of writing “Why Easter?” and how will the devotional bless other families? Barbara Reaoch: The devotion was written for my grandchildren so the biggest blessing is that they use it and are learning to love the Gospel of Jesus Christ. Our children have established this devotional reading as a yearly tradition with our grandchildren. God has given me the desire of my heart. Another blessing that fills my heart with such joy is to hear of the fruit that God is bearing in hearts of other children around the world. God is faithful to His Word. Whenever parents read the Bible to their children and proclaim the truth about Jesus Christ, there will be fruit in the hearts of their children. Why Easter? is simply a tool that will help them. Barbara Reaoch is Bible Study Fellowship International’s Director of children’s programs. For nearly twenty years, she taught women’s BSF classes in the U.S. and South Africa. Barbara also worked at the Rafiki Girl s Center in South Africa, teaching the Bible and life skills to young women. She has been married to Ron for 40 years; they have three grown children and four grandchildren. A copy of this book was provided by the author. For information about our book review policy or the affiliate links in this post, click here. Oh this looks great! I hadn’t heard of it! Adding it to my wish list!!! This looks so good and the endorsements are awesome. I am looking forward to getting it for the boys! Excited about this one, ordering it now! Thanks for finding all the good stuff!